I've tried making new stacks with my notebooks. I tried clicking and dragging and nothing. I used Mac, Web and iPad. I can't even drag a notebook into an existing stack. I even tried right clicking on a notebook and the option to make a stack is not there. Next go to view and click on "Notebooks"
Editor: 62.1.7539 (b406110) (whatever that last bit means...) of Evernote Desktop Application for Mac. 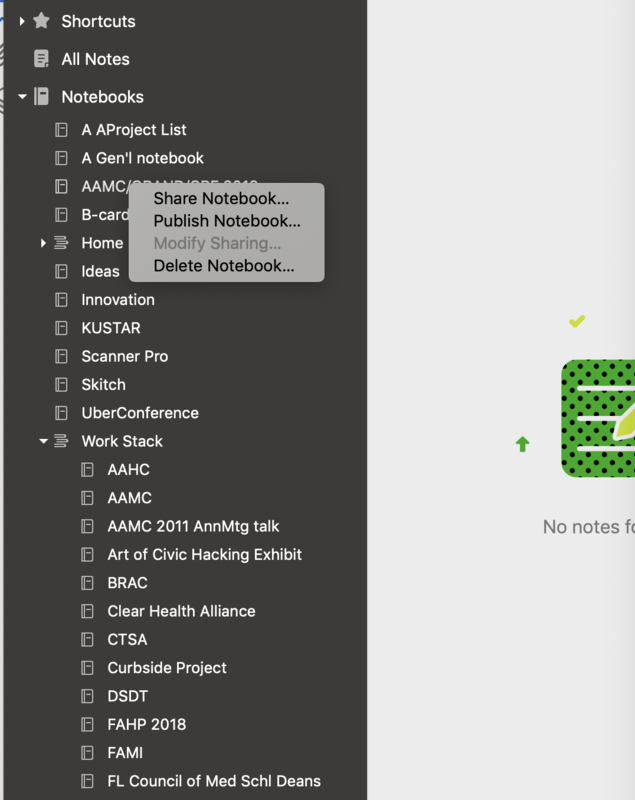 Stacks is also not working for me in latest Evernote version. Here's a screenshot. Editor: 62.3.7750 (ee6e44e). I have also tried on my iPad - current ios, current evernote, not working there. It's particularly curious because I have previously created stacks. Is this a bug from a newer version of Evernote? Can you post a screenshot of "not working"